Nine dominated viewing again last night from 7 – 9pm, although Seven News led earlier and there were moments when Media Watch, Q&A and even Dancing with the Stars hit the front. Married at First Sight was again #1 and topped the demos at 1.35m viewers. My Kitchen Rules was second at 715,000. ABC shows nabbed third in its slot with 7:30 (600,000) and Australian Story (579,00). Dancing with the Stars was fourth at 492,000, on par with last week, rising to 556,000 for the elimination of Olympia Valance. But the drop for Bad Mothers is cause for concern. At 498,000 it lost 852,000 viewers from its lead-in. Nine Network won Monday with 31.7% then Seven 27.7%, ABC 17.65, 10 16.8% and SBS 6.2%. 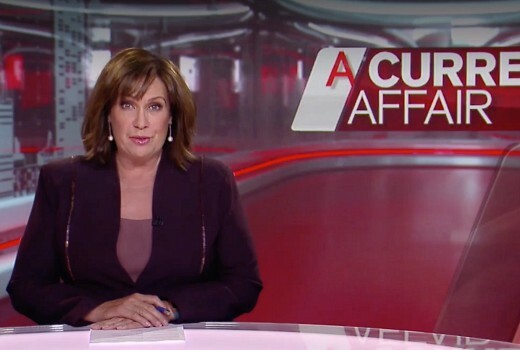 Nine News drew 937,000 / 912,000 for Nine then A Current Affair (891,000). Hot Seat was 465,000 / 281,000. Footy Classified was 135,000 and 100% Footy was 69,000, both in select cities. Seven News won its slot with 998,000 / 989,000. Home & Away was 658,000 then The Chase (561,000 / 346,000), Billy Connolly: Made in Scotland (335,000) and the final Instant Hotel at just 162,000 in a 10pm slot. ABC News (724,000), Media Watch (603,000), Q&A (360,000) and The Drum (187,000) comprised ABC’s other shows. The Project drew 477,000 / 276,000 for 10. 10 News First was 413,000 then The Graham Norton Show (219,000) and Pointless (192,000). On SBS it was Michael Mosley: Trust Me I’m a Doctor (180,000), The Kennedys (174,000), 24 Hours in Emergency (166,000) and SBS World News (110,000). I enjoy dancing with the stars too. I also ejoyed Instant Hotels. I hope it comes back next year. Its so entertaining. Bad Mothers looked woeful from the little bits that I had seen while at a chicken shop the other week. I attended a job interview with Ten 2 and a half years ago (didn’t get the job) and I did speak about the state of Australian drama on FTA and they seemed adamant on playing it safe due to the high financial risks involved. In an age where television has seen somewhat of a renaissance with high quality drama being released overseas (and on Pay TV/streaming), it’s baffling that the FTA networks aren’t being more ambitious in order to stay relevant. Life’s too short to be committing to what amount to junk food soaps on primetime. A great film/TV series should demand repeat viewings, the critical trait that commercial Australian scripted programmes often lack. Local FTA stuff has to appeal to as many possible viewers here as is feasible=lcd TV-it doesn’t get much of a showing overseas apart from the 2 soaps so all costs get borne here. DWTS was wonderful again last night. Stayed up to watch the final of Instant Hotel, such sore losers. This is a really good season of Dancing with the Stars. it’s a real shame more people haven’t given it a go. Bad Mothers (aka Bad TV) and current terrible episodes of Home And Away are really giving Oz drama a bad name with me. Thankfully, ABC has come to the rescue with – The Heights – on Friday nights.